Prior Model Home! This Colonial Boasts formal living, dining, huge family and sunroom leading to large deck overlooking pool. 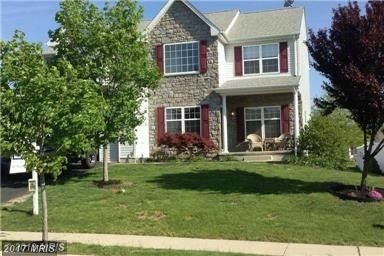 2 story foyer, 4 bdrms 2.5 baths, amazing master suite with tray ceiling, sitting area and super bath. Home has chair rail, FP, dbl vanities, upgraded carpet, and a full basement just waiting to be finished. Community is just 5 minutes to I-95 and Rt.40 too!